Kyle Shepherd Trio’s Double Album Dream State at UCT’s SA College of Music. 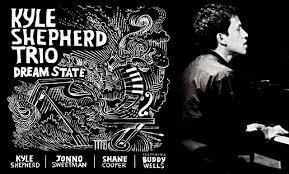 The launch of ‘Dream State’ marks the 5-year Anniversary of Shepherd’s much-lauded Trio. The concert, presented by fineART Music and generously sponsored by Ultra Event Technical Solutions and Dunstone Wines features Shepherd, the 2014 Standard Bank Young Artist of the Year Award (SBYA) winner for Jazz and African News Network, ANN7’s 2014 Young South African of the Year Award Nominee, on piano, together with two of South Africa’s most celebrated musicians, namely, Shane Cooper – the 2013 SBYA recipient – on double bass and Jonno Sweetman on drums. This is an event not to miss. COPA’s Open Day! (Campus Of Performing Arts) tomorrow for all branches around the country on Saturday 30 August 2014 except the KZN Campus, which then the KZN event takes place on the 5th of September from 12pm to 3pm. One can go along in Cape Town from 12pm to 4pm, Johannesburg: 12pm to 3pm, Pretoria: 11am to 3pm All the COPA branches listed below and this is what one can expect at the events. – one-on-one chats with Student Representative Council members, on life as a COPA student, as well as 2015 enrolment’s and auditions. COPA Academy, running as a part-time training facility, will, for the first time in South Africa, make a world-class product available to all aspiring musicians, producers, sound engineers, and DJ’s through a network of approved COPA Academy centres, throughout South Africa. 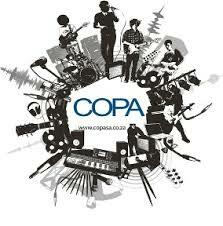 COPA Academy is a sister company of Campus of Performing Arts. Its part-time course material is based on the full-time qualifications offered by Campus of Performing Arts. The course material is based on the nationally registered and CATHSSETA accredited programmes. – COPA has partnered with DJ Ian Credible, to teach levels 2, 3 and 4 (basic to advanced). He’s training local DJ’s, on a part-time basis, in communities in the Western Cape, and via COPA Cape Town. Click here to watch DJ Ian Credible. – DJ’s will start by learning how to MASTER the DJ DECKS, and elevate to the level where they’ll use ABLETON LIVE over the various 12 week programmes. – Lessons are broken into 90 minute sessions, once per week, starting at R2000 for COPA’s BASIC COURSE (a once-off opportunity), excluding the DJ part-time book, which costs R200. – The subsequent courses increase in price, up to R5000. The most advanced course, HIGHER Education level – Stadium DJ, has now evolved to ARTIST level because of the compositional work that occurs over the 12 lessons. – All classes can be administered on a one-on-one level, but group classes are preferred, with no more than 5 learners per group. – There are also 2 Full-Time DJ course options. These are offered on COPA’s Higher Education Programme. With these, students can achieve a Higher Certificate, as well as a Diploma in Music Production, focusing on DJ-ing. These will be running in COPA Cape Town from 2015 onward, starting with the Higher Certificate. 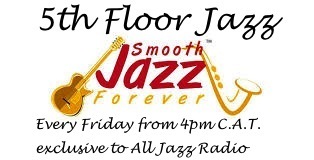 – See more at: http://copasa.co.za/cape-town-campus/#sthash.q2Uai7Z0.dpuf looks like another not to be missed event.